Christmas Red Wine Sangria is one drink certainly not suitable for the kids! It is, however, perfect for those nights when you just want to hang out with your best girl friends and have a giggle or two. 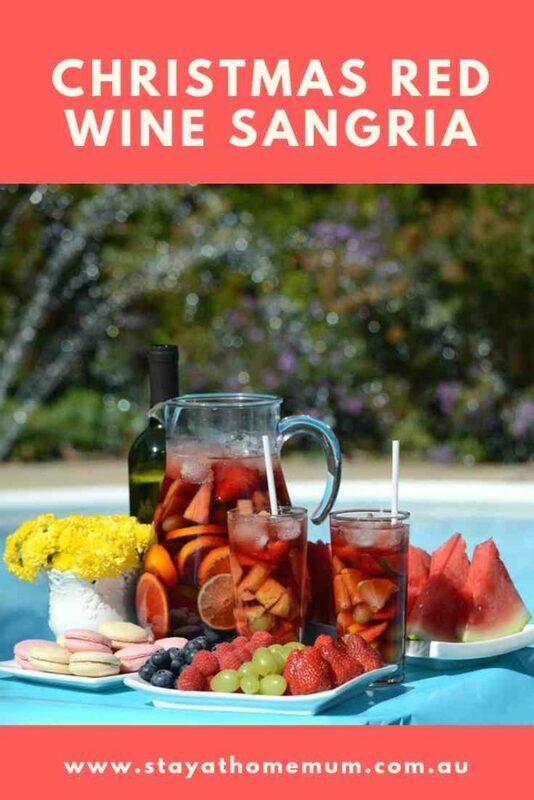 Sangria is originally from Spain and is traditionally the combination of Red Wine and Orange Juice. It is usually served with loads of ice and fruit. It is a very refreshing drink that makes it easy to drink way too many! Place all ingredients in a punch bowl and mix well. Fill with ice and let the ice slowly melt over the night. A few mint leaves are nice too. Red Wine Sangria is not suitable to freeze.